A serious upgrade! 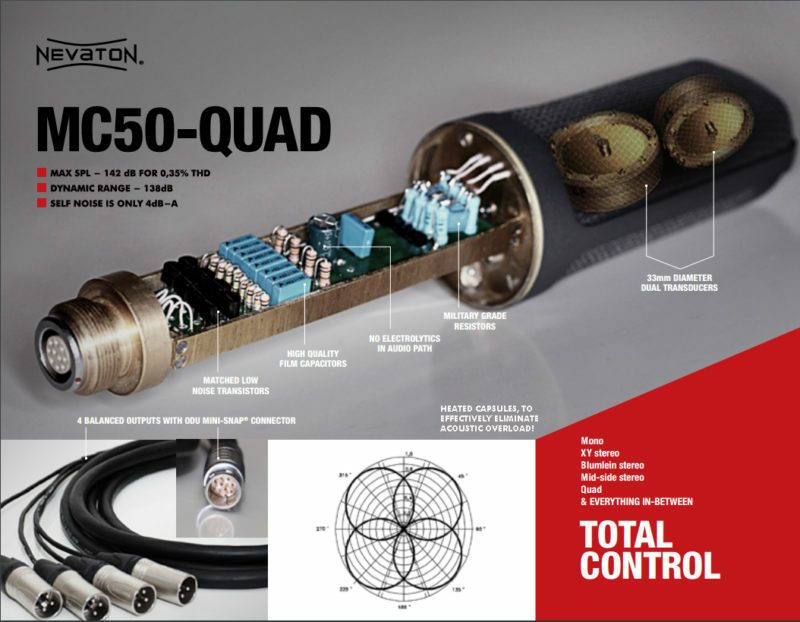 Learn about several new features of the NEVATON MC50 QUAD!!! Great news for all future owners of Nevaton MC50! From now on MC 50 microphones feature capsules which are heated through the current consumption of the amplifier. This means that all new Nevaton MC50 microphones can now be used in extreme climatic conditions like f.e cold temperatures of down to -30 degrees, or humid environments! Additionally a filter is now engaged in all Nevaton microphones which eliminates radio interference while not influencing the sound at all. But this is not enough – Additionally a -10dB switch will make it possible to use the Nevaton MC50 with very loud sound-sources. Finally the Nevaton MC50 also features from now on a switchable low cut filter!